An octogenarian flying trapeze artist, the owner of the world’s fastest jet-propelled go-kart and a dog named Feather with a flair for jumping are among the record-breaking stars to win a place in the latest edition of Guinness World Records. 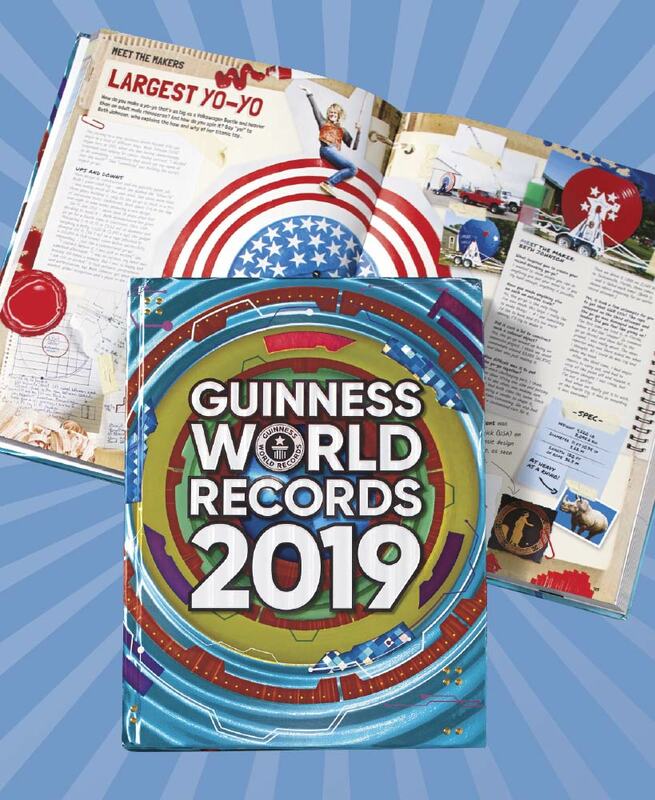 Others to feature in the 2019 edition of the book, which went on sale on Thursday, include the creator of the world’s largest knitting needles and an Irish butcher, Barry John Crowe, who has produced the most sausages – 78 – in one minute. Another octogenarian honored in the book is Sumiko Iwamura, an 83-year-old Japanese restaurant owner who in the evening turns into DJ Sumirock, the world’s oldest professional club disc jockey.